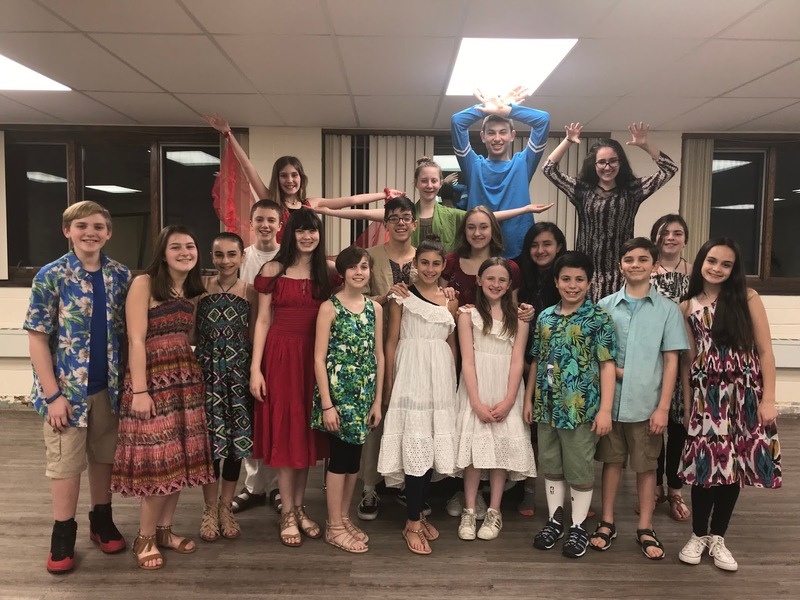 Aspire Performing Arts Company is setting the stage for its spring production of Once on this Island Junior, taking place April 5 and 6 at Preakness Reformed Church in Wayne, NJ. Once on this Island Junior is an adaptation of the full-length musical by Lynn Ahrens and Stephen Flaherty. The recent Broadway revival won the 2018 Tony Award for Best Revival of a Musical. The story is based on the popular Hans Christian Andersen fairy tale "The Little Mermaid,” and follows Ti Moune, a peasant girl who rescues and falls in love with Daniel, a young man from a wealthy family. When Daniel is returned to his land, the gods who rule the island guide Ti Moune on a quest to test the strength of her love against the powerful forces of prejudice, hatred, and even death. Once on this Island Junior features stage and music direction by Benjamin Yates, and choreography by Lisa Beth Vettoso, Aspire PAC Artistic Director. Katie Roth is Assistant Director and Stage Manager, and Katelyn Bollinger is the Production Assistant. Performances will take place on Friday, April 5 at 7:00PM and Saturday, April 6 at 3:00PM and 7:00PM at Preakness Reformed Church, located at 131 Church Lane in Wayne, NJ. For more information or to purchase tickets, visit www.aspirepac.com or contact Aspire PAC at 201-220-4933 or aspirepac@gmail.com. Aspire has earned a strong reputation in the Northern NJ area for its high-quality theatrical productions and professional arts experiences for local youth. Aspire has been nominated for eight New Jersey Association of Community Theaters (NJACT) Awards and five Broadway World Regional Awards. In 2017 and 2018, Aspire won 13 National Youth Arts Awards. For more information on Aspire Performing Arts Company, please visit www.aspirepac.com .